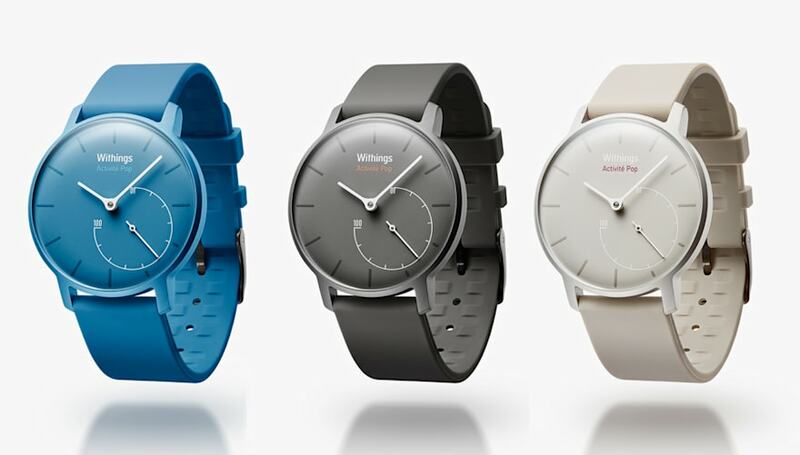 The wearables are today the great technological trend and there are more and more people to join.Within this vast area, watches and smart bands are perhaps the most sought after, and also where major brands invest. Runtastic is one of the leading brands in the world of sports, combined with technology, with a large number of applications dedicated to different physical exercise practices. 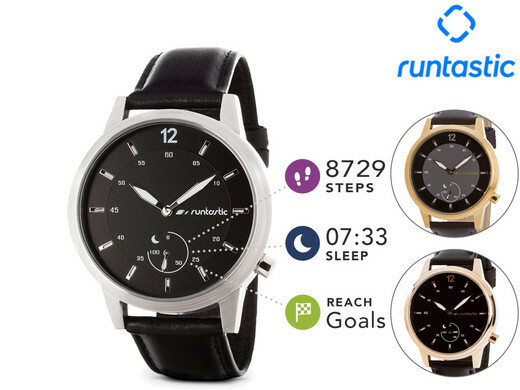 But this brand does not only develop mobile applications, Runtastic also has some of these gadgets with the aim of making the life of each of us more active, as is the case of Runtastic Moment Basic that we have already had an opportunity to test. Get to know him in detail. 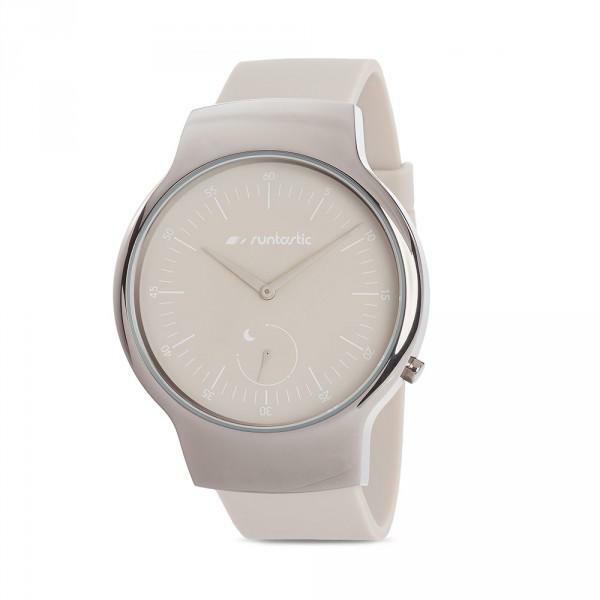 The wearable Runtastic Moment Basic is a watch that adapts to the most varied situations. Practical to make a run and elegant to use on a daily basis on any occasion, whether at work or at dinner. 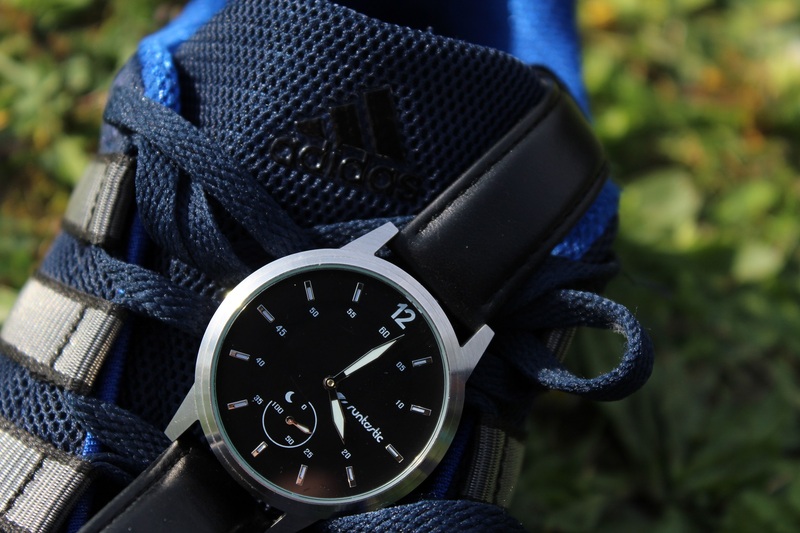 It is this versatility that is increasingly demanded by consumers and Runtastic, with this Moment, may have found an interesting balance for those who want to monitor some details of their life, but without having to use bands or watches that the market offers with a design Distinct from what is a real watch. The Runtastic Moment Basic comes in a box that also includes a star wrench to unscrew the battery access cover, extra screws and the instruction manual. Remember everything in detail through the following video. 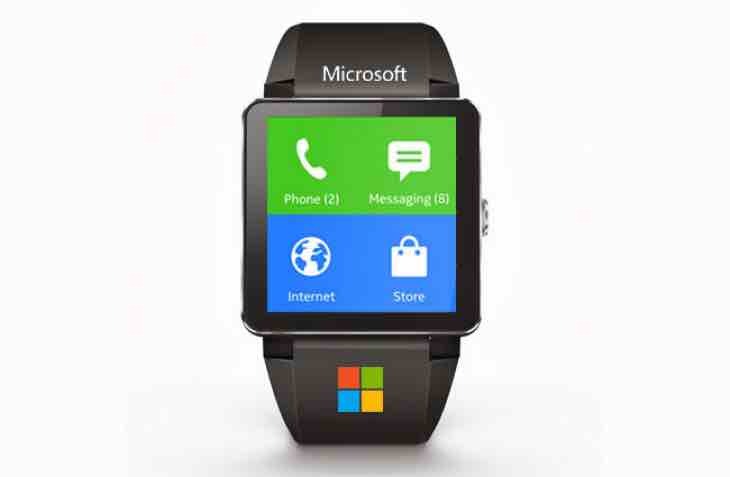 This is a real wristwatch, says HolidaySort. A modern watch, which fits easily into a female or male arm that, at first glance, no one would say could bring some included technology. 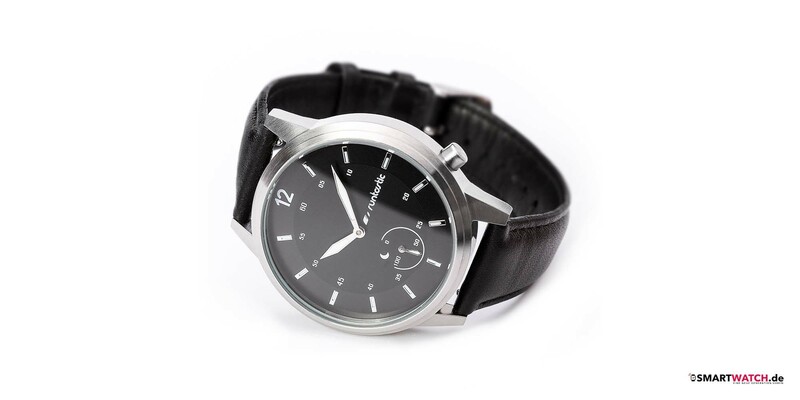 Its bracelet is made of silicone and the dial is common to a conventional watch. The display has a thickness of about 1 cm, a thickness above which is more common but, nevertheless, nothing that is uncomfortable or a little aesthetic. On the side comes the unique button of the clock so that there is the necessary technological interaction. 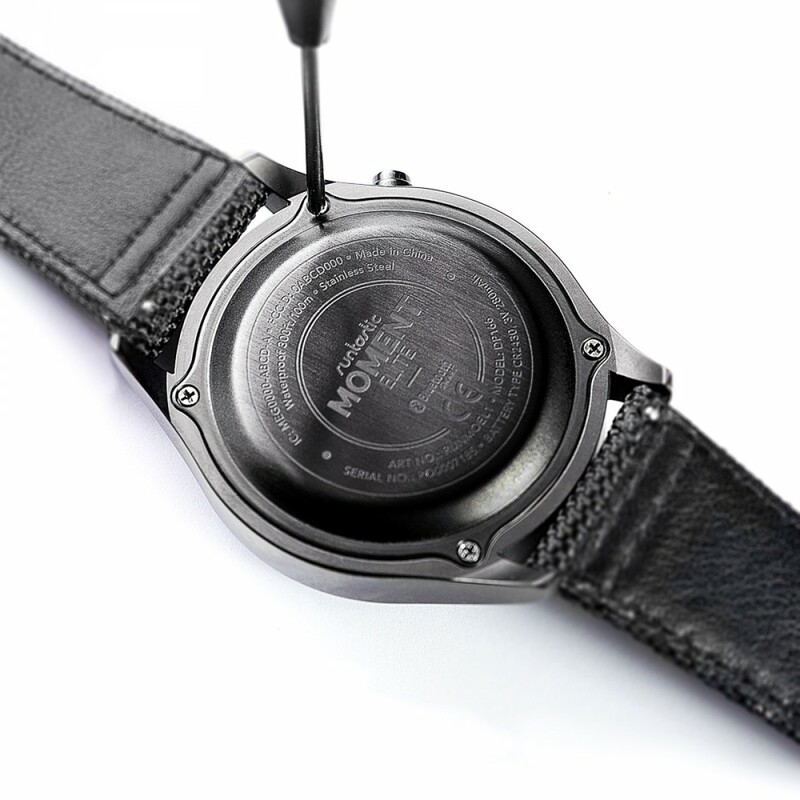 Both the dial and the buckle are in brushed aluminum. The fact that the bracelet is made of silicone has the disadvantage of winning many hairs. 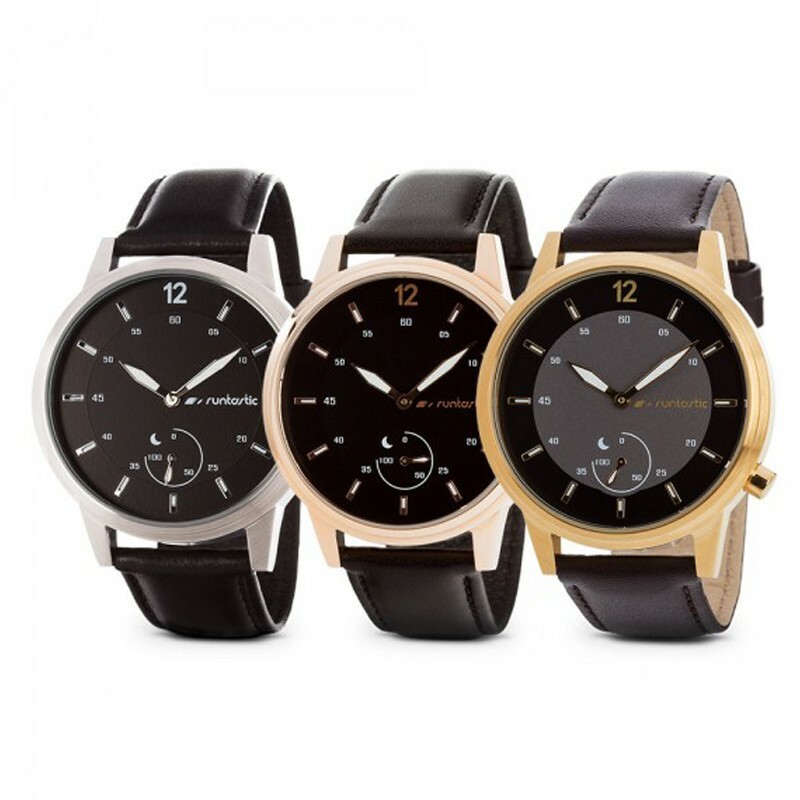 Runtastic Moment Basic is available in black and beige, but the brand still has a similar model, the Runtastic Moment Fun, for the same price, € 129, with the colors golden, blue, pink and purple. 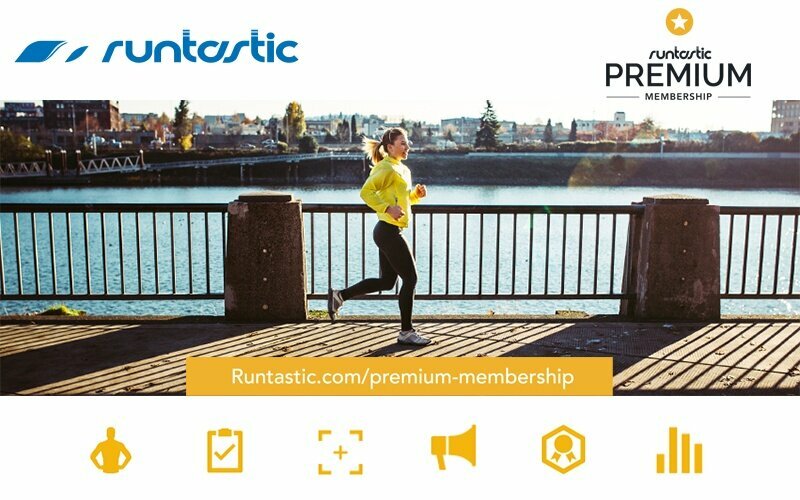 Runtastic offers an application dedicated to its wearables, Runtastic Me, a free and available application for Android, iOS and Windows, which will be compatible with a large number of mobile devices, depending of the version and its operating system. So that there is a connection between your smartphone and the clock you should turn on the Bluetooth of your smartphone and connect Runtastic Moment Basic with a click away on your button for 3 seconds. After opening the application just follow the steps, as you can see in the video below, and you are ready to use! 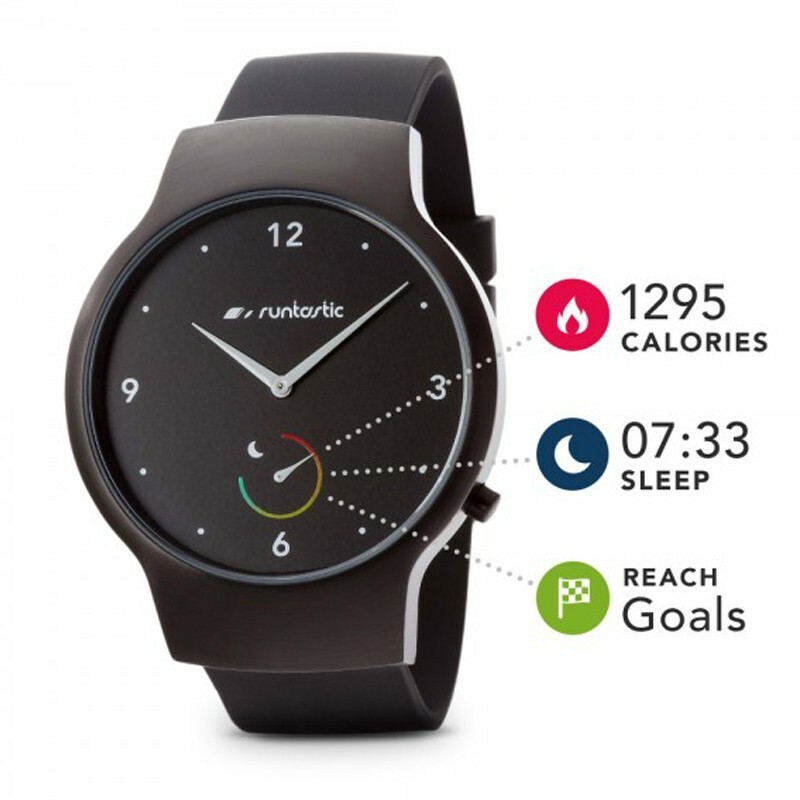 Runtastic Me is the application that interacts with the clock and which records, manages and displays all the information related to the activity of its user via Bluetooth. 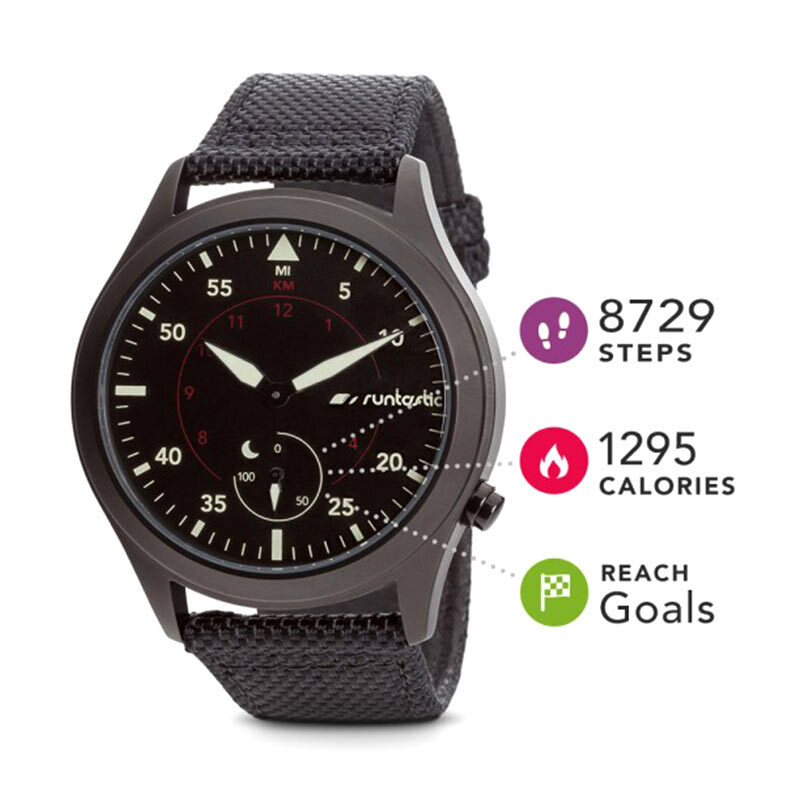 Once the application has been registered and the clock synchronized, its features are ready to help you understand which routines you should change to have a healthier life. The steps you take each day, the time you have been most active, the hours you slept are some of the information the watch collects whenever it is on your wrist. Through the application you can also define the applications from which you want to receive notifications, you can activate the alarm clock and also a vibrating alert for when you spend many hours inactive. In general, all monitoring is done in a very efficient way. Be it the count of steps, be it in the race and distance traveled, or be the monitoring of sleep. Although in the latter, the graph presents a light sleep for very short periods of time in relation to the Mi Band of Xiaomi, not wishing to say that it is the one of Xioami that does this monitoring of better or worse form. Notification reception works quite efficiently, although the vibration should be a bit stronger.Sometimes it’s barely noticeable. 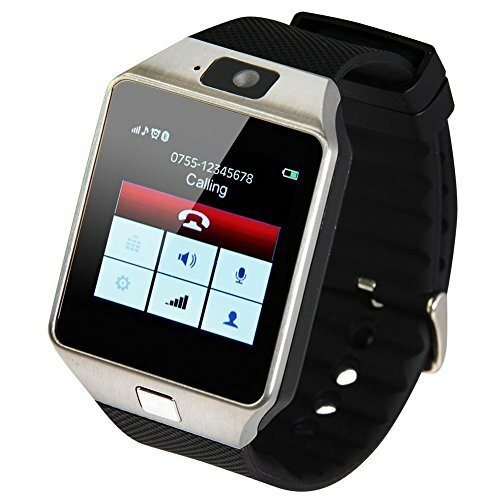 The option of having a watch that you can use day-to-day in any situation is the great advantage of this smart watch and that does not occur with other equipment on the market, even those who are more “smart.” The design and its resistance coupled with its versatility are factors to take into consideration when choosing one of these gadgets. 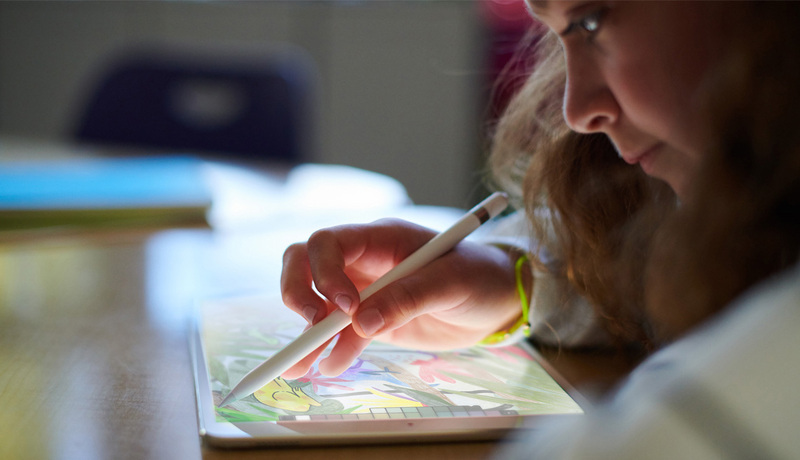 Regarding the autonomy, you will not have to worry for at least 6 months, since it is the time that the battery lasts. After that time just put a new battery. Runtastic Moment Basic and Runtastic Moment Fun are available in Portugal for € 129 at Media Markt and Fnac stores. Pplware thanks CleverHouse for providing Runtastic Moment Basic for analysis.